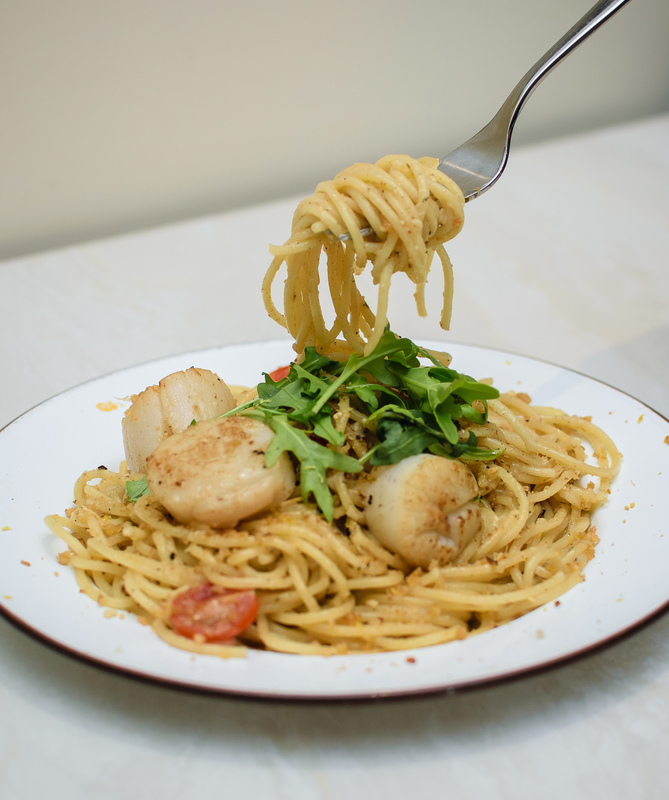 Located on the outskirts of the hip foodie enclave of Keong Saik is Pastaria Abate, a no-frills Italian restaurant specialising in homemade pasta that’s decidedly wallet-friendly. What I like about it is that you have the freedom to customise your own pasta. Choose from 15 types of pasta, then pick a sauce from more than 18 varieties to go with your choice of noodle, be it tagliatelle or more exotic options such as squid ink, mushroom and spinach specialty pastas (+$2). 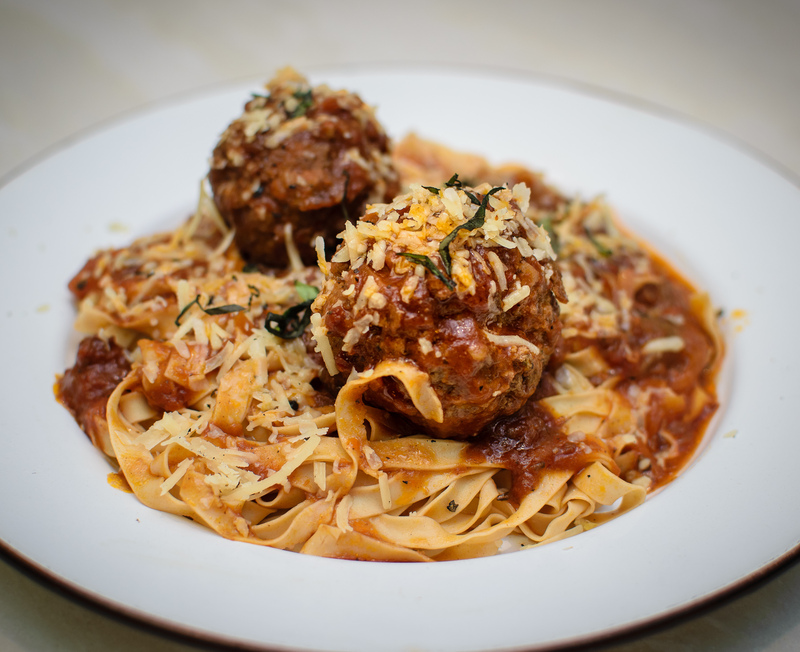 We tried their Tagliatelle With Italian Meatballs ($12.80) first, and while I can’t fault the handmade soft and tender giant meatballs, the pasta was clumpy and needed more sauce. Fortunately it still tasted good. Pastaria Abate also has a range of regular specials such as the Pasta Capesante ($18.80). I loved the garlicky, butter sauce-coated twirls of al dente spaghetti with soft cherry tomatoes. However, though plump and sweet, the jumbo Hokkaido scallops lacked the crusty, caramelised sear I always look out for. What we really enjoyed were the 2 appetisers served. I always approach fried mozzarella with trepidation as they often tend to be bland and tepid affairs. 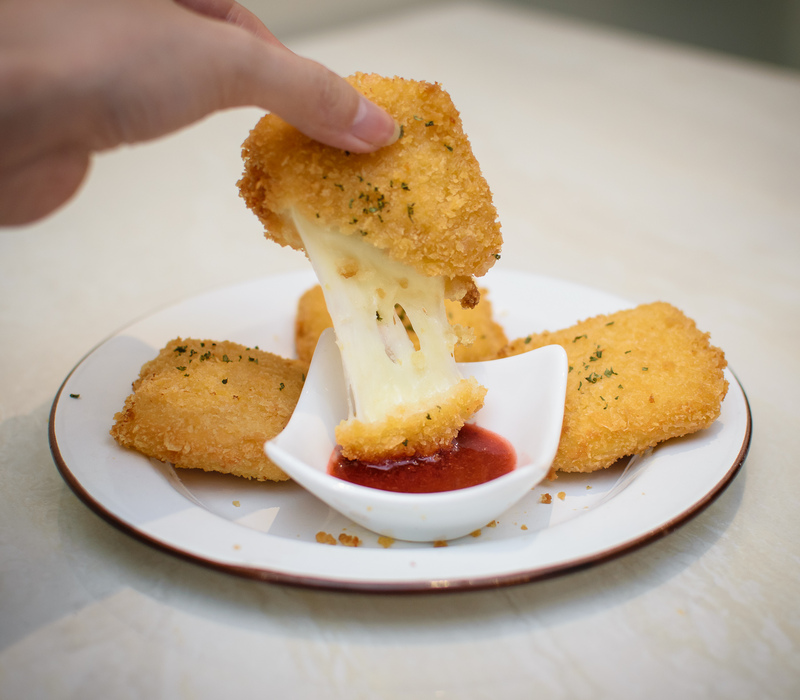 Not so with Pastaria Abate’s Fried Mozzarella ($16.80) – crisp, crumbed morsels filled with stretchy cheese, accompanied by a well-balanced strawberry sauce that complemented the mozzarella perfectly. Tip: eat it fresh before the cheese hardens. 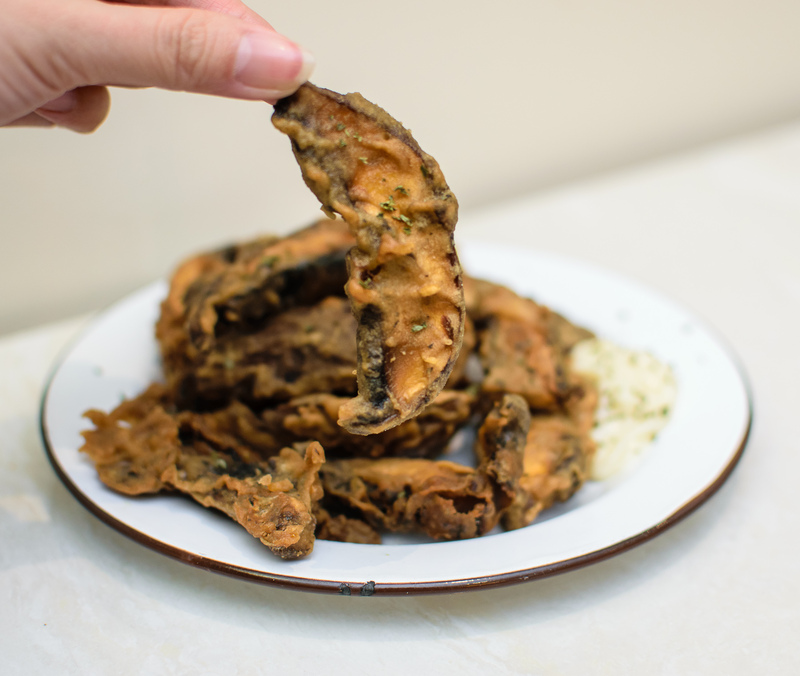 With their Portobello Fries ($8.80), the crunch of well-seasoned batter gives way to juicy portobello within. Quite addictive especially with the garlicky mayo on the side. To keep the dishes value for money, the restaurant is self-service and they do request that you use cash or NETS for payment. It can be hard to find affordable, quality pasta in Singapore, but Pastaria Abate certainly makes a decent stab at it.